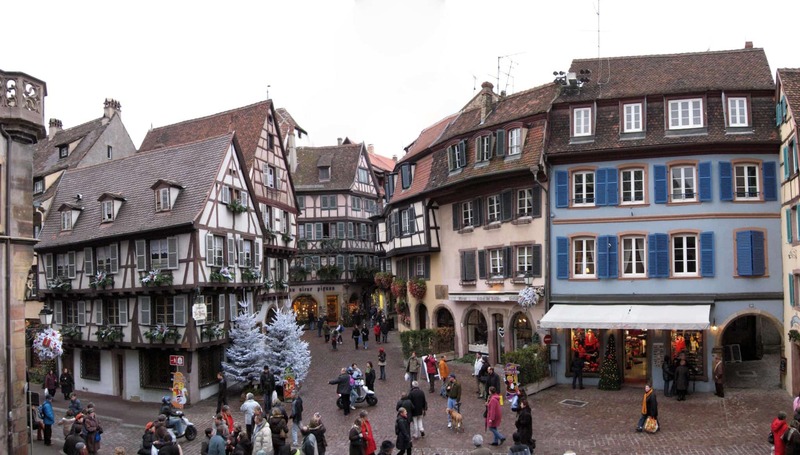 Colmar is the third-largest commune of the Alsace region in north-eastern France. It is the seat of the prefecture of the Haut-Rhin department and the Arrondissement of Colmar. The town is situated along the Alsatian Wine Route and considers itself to be the “Capital of Alsatian Wine” (capitale des vins d’Alsace). The city is renowned for its well preserved old town, its numerous architectural landmarks and its museums, among which is the Unterlinden Museum with the Isenheim Altarpiece.